Gelatine, a protein produced from collagen extracted from the boiled bones, connective tissues, and other animal products, has been a component of food, particularly desserts, since the 1400s. 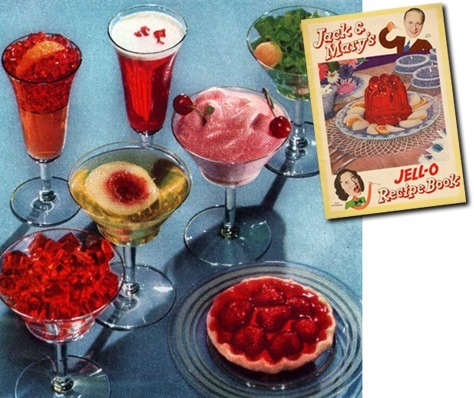 Gelatine was popularized in the west in the Victorian era with spectacular and complex "jelly moulds". Gelatine was sold in sheets and had to be purified, which was time-consuming. Gelatine desserts were the province of Royalty and the relatively well-to-do. In 1845, a patent for powdered gelatine was obtained by industrialist Peter Cooper, who built the first American steam-powered locomotive, the Tom Thumb. This powdered gelatine was easy to manufacture and easier to use in cooking. 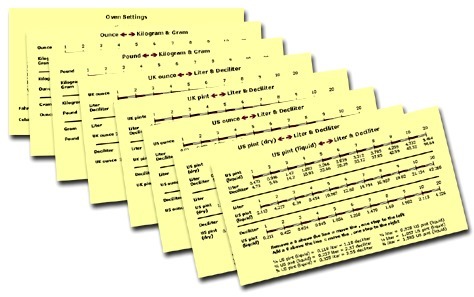 The jpg images might be hard to read, but on the page you’ll also be able to download the tables in pdf format.